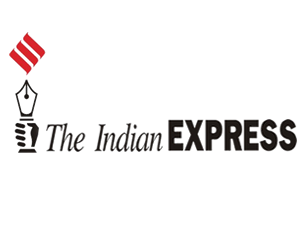 The following article originally appeared in The Indian Express on March 18, 2016. An excerpt is included below. A number of issues on which the presidential candidates have staked positions are of importance to India. These include broader American trade and national security policies, which have global implications, as well as specifics related to such matters as H-1B high-skill visas, outsourcing, Asia policy, and Afghanistan and Pakistan. Based on their known views on these and other issues, how might the five remaining US presidential candidates rate from India’s perspective? Hillary Clinton is a familiar figure in India. In 1995, she visited as first lady. As senator, she was co-chair of the US Senate’s India Caucus, a position that helped her raise funds from Indian-Americans, but also signalled the priority she placed on better relations with India. In a 2011 speech in Chennai as secretary of state, she called for India to assume a greater role in its region. “We encourage India not just to look east, but to engage east and act east as well,” she said. “India’s greater role on the world stage will enhance peace and security,” she added in an essay in Foreign Policy magazine. Clinton also famously chastised Pakistan for its support of terrorist groups. “You can’t keep snakes in your backyard and expect them only to bite your neighbours,” she publicly warned Islamabad in 2011. However, there are concerns about Clinton’s opportunism. For example, her criticism of the Trans-Pacific Partnership (TPP), a trade agreement she had earlier championed as secretary of state, has raised eyebrows. But in general, Clinton is a known quantity, a candidate whose worldview broadly aligns with Indian economic and strategic interests. Bernie Sanders’ views on foreign policy are less evolved than Clinton’s. He has called for restraints on using military force other than as a last resort and for cuts to US military spending. For India, and indeed for the Asia-Pacific, this position erodes America’s credibility as a security provider just as concerns have increased about Chinese militarism. Of greater significance for India, however, are Sanders’ views on commercial and economic cooperation, including his vote against the civil nuclear agreement with India and his steadfast criticism of outsourcing. His campaign has even made attack ads of Clinton’s 2012 appearance in front of an Indian audience on NDTV, in which she discussed some of the benefits of outsourcing. John Kasich, like Clinton, has run on his qualifications, which include 18 years in the US Congress and six as governor of Ohio. While he proudly declares his national security credentials, that experience is now 15 years out of date. Kasich has stuck broadly within the confines of orthodox Republican foreign policy positions, as on Israel and Iran, and has promised to challenge the “expansionist agendas” of Russia and China. He says he is generally in favour of trade and has been less critical of immigration than many of his Republican colleagues. While he has often described his foreign and commercial policy platforms in broad brushstrokes, Kasich has been short on details, including on many of the issues that might be of interest to Indians. Ted Cruz, despite being an elected senator of one of the largest US states, has run for president on an anti-establishment platform. Yet, his differences on foreign policy with the Republican Party establishment relate primarily to the use of military force in Syria and Cruz’s public criticism of foreign policy neo-conservatives. On most other foreign policy issues, Cruz’s views do not diverge radically. The Texas senator has little direct experience with India, but often speaks in positive terms, going so far as to cite India as a model of peaceful coexistence with the Islamic world. But while previously supportive of an increase in legal immigration, Cruz now advocates a temporary suspension and reassessment of the H-1B visa programme. Although broadly in support of trade liberalisation, he has opposed the TPP, claiming he can get a better deal, a position that could damage US credibility and economic leadership in Asia. Donald Trump’s bombastic rhetoric has proved surprisingly and enduringly popular with voters, but it has also been justifiably condemned as unbecoming of a presidential candidate. His spontaneous comments have often been racist, xenophobic, and supportive of violent acts by his supporters. He has reversed policy positions at the drop of a hat, including on H-1Bs, recently saying that incentives are needed to keep bright Indian college graduates in the US. He has praised India’s economy for “doing great” while claiming that India “takes advantage of the United States”. He is also proudly ignorant of many aspects of national security and foreign policy. But what is more worrisome is Trump’s actual worldview. His neo-isolationist refusal to underwrite global security and threats to start trade wars with China, Japan and Mexico would fatally damage the United States’ reputation, credibility, and international standing. His election as US president would accelerate American decline and create a sudden global power vacuum. India — with a precarious economy in an already uncertain strategic environment — would be worse off for it.